Welcome to Vintage Powder Room Cinema! 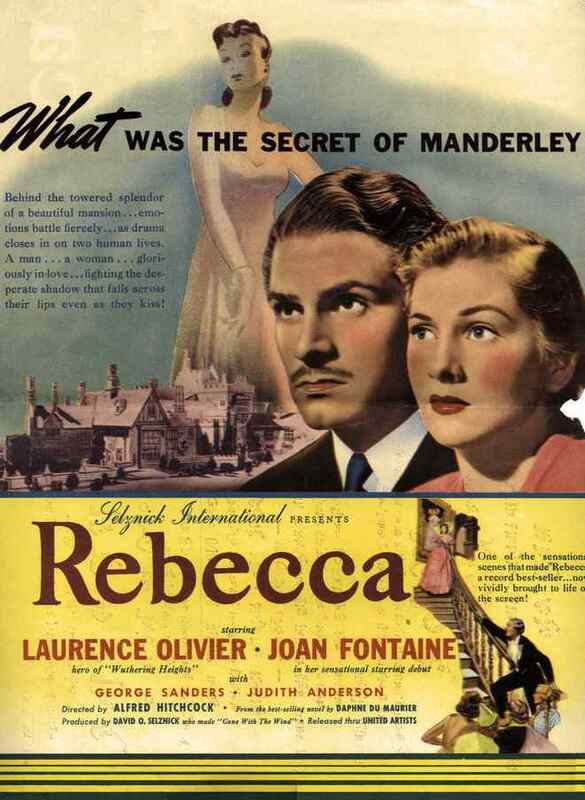 This week’s feature is directed by Alfred Hitchcock and based on the novel REBECCA by Daphne Du Maurier. It is a wonderful mix of suspense and romance, and stars Laurence Olivier and Joan Fontaine. Enjoy the movie! Maxim de Winter, who is in Monte Carlo to forget the drowning death of his wife Rebecca, meets the demure paid companion of matronly socialite Edythe Van Hopper and begins to court her. The girl falls in love with Maxim and happily accepts when he asks her to be his wife. The bride’s happiness comes to an abrupt end when Maxim takes her to his grand seaside estate, Manderley. There she is tormented by the housekeeper, Mrs. Danvers, who continually reminds the young bride of the great beauty and elegance of the first Mrs. de Winter and undermines her attempts to assert herself in the household. One night shortly after her arrival, a boat is wrecked off shore, and during the rescue attempt, another submerged boat is found in which the body of Rebecca is trapped.